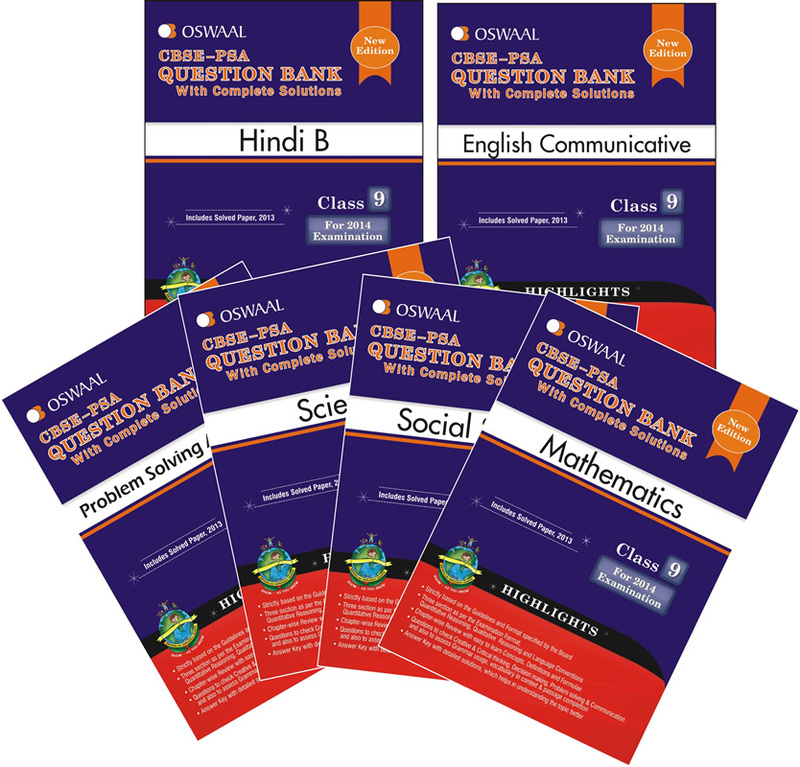 Oswaal Question Bank with Solutions of Hindi B, English Comm., Math, S. Science, Science, PSA (Problem Solving Assessment). 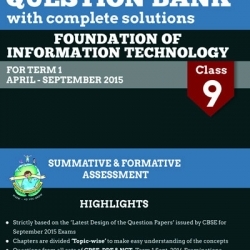 � Includes Questions from all the Sets of Term I Board Examination. 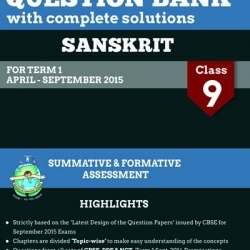 � All the Answers are strictly as per Board Marking Scheme and follow the word limit specified by the Board. � All the Questions are strictly designed as per the weightage specified by the Board for each chapter / unit separately. � Strictly Based on the guidelines and format specified by the board. � Includes three sections as per the examination format, Quantiative Reasoning, Qualitive Reasoning, and Language conventions. � Includes Chapter wise review with easy to learn concepts, definitions and formulae. � Includes questions that will check creative thinking, decision making, Critical thinking, problem Solving and Communication. and also assess grammar, usage, vocabulary in context and passage completion. � Icludes Answer key with detailed answers which help in understanding the topic better. 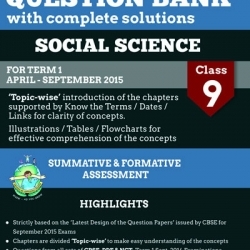 Oswaal CBSE CCE Question Bank with complete solutions For Class 9 Term I (April to September 2015) Found. Of Info. Tech.